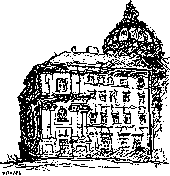 Welcome to the home page of the Department of Applied Mathematics of the Faculty of Mathematics and Physics at the Charles University. The department is located in a historical building on Malá Strana in the heart of Prague. Our teaching and research activities are concentrated in discrete mathematics, geometry, theoretical computer science, operations research, optimization, and related areas. Noon lecture on Thu Apr 25 - There is a noon lecture by Michael Elkin: Distributed Exact Shortest Paths Algorithm in Sublinear Time at 12:30 in S6. Noon lecture on Thu May 2 - There is a noon lecture by Davis Issac: TBA at 12:30 in S6. Noon lecture on Tue May 7 - There is a noon lecture by Jan Novák: Plabic graphs in physics at 12:20 in . Prize of Jirka Matoušek - Prize for doctoral students of KAM. 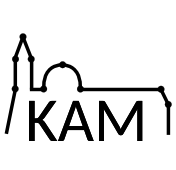 Links: Mathematical Colloquia, Midsummer Combinatorial Workshop, Spring school, Kamak, Research Experiences for Undergraduates, Combinatorial Structures and Processes.